The Winston-Salem Sail and Power Squadron is a unit of the United States Power Squadrons. We serve the greater Winston-Salem, NC area which includes Forsyth County and the adjoining counties of Davie, Yadkin, Surry, Stokes, & Davidson. The Winston-Salem squadron was formed in 1959, and in 2001 added “Sail” to its name to reflect the fact that it is not limited to power boaters. Members inland boats are on Lake Norman and Blews Creek or go most anywhere by trailer. Many of our salt water power boats are docked in Morehead City and New Bern. Sail boats are less concentrated but include Oriental. The United States Power Squadrons began in 1914 as a group of power boat owners in the Boston Yacht Club, when most of their fellow boaters were sailors. USPS has grown over the years to become “America’s Boating Club,” with “squadrons” throughout the United States, consisting of boaters of all types. Its national headquarters is now in Raleigh, North Carolina. The United States Power Squadrons is dedicated to boating safety and education as well as boating fellowship. The Winston-Salem squadron offers basic boating safety classes to the public, and for those who join, a full range of courses about all aspects of boating, navigation and boat maintenance. Its public service also includes assistance with the upkeep of navigation charts and free safety inspections for boats. Its members, who come from the entire region, enjoy monthly meetings with boating programs and engage in a variety of boating activities. They have all types of boats, from canoes to large sailboats and power boats. Their boating includes activities on local and distant lakes, river cruises, coastal cruises, ocean cruises and sometimes even international cruises. In 2009 the Winston-Salem Sail and Power Squadron achieved an unbroken record of 50 years of education, promoting boating safety and fellowship. 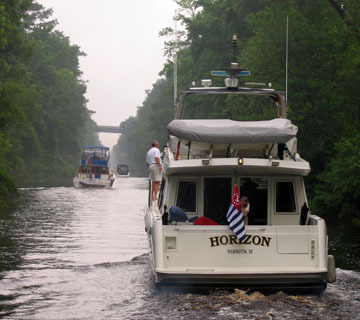 It welcomes as members those who share an interest in boats and boating of all types.